TV BANTER . . . with Joanne Madden: Gerry Dee: The CBC's Mr. D.
Gerry Dee: The CBC's Mr. D.
My dad always said that if someone makes fun of you, you laugh and agree with them - and it was the best trick ever. Gerry Dee is a raspy-voiced Canadian comic whose humour has been compared that of an early Bill Cosby. His comedy is clean and it strikes a chord with many, particularly his observations about educators and schools. Gerry plays teacher Gerry Duncan on the hit CBC television series Mr. D. Gerry is the creator, writer and star of the popular comedy set at high school called Xavier Academy. Mr. D premiered on January 9, 2012 to a large viewing audience and has run for two seasons. According to the CBC, the show "shines the light on teaching from the teacher's point of view, and as it turns out, teachers don't know everything, especially Mr. D - who struggles to keep one step ahead of his students." Gerry Dee, the man behind who portrays Mr. D, is the son of Scottish immigrants to Canada. He was born Gerard Francis Donoghue in Scarborough, Ontario on December 31, 1968 and was later raised in the Willowdale area. of Toronto. He attended high school at De La Salle College and then went on to study kinesiology at York University. 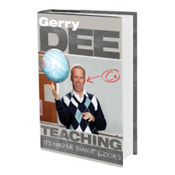 If Gerry Dee seems comfortable in the role of Gerry Ducan, it's because he actually spent a decade as a high school teacher. After earning his teaching degree at St. Francis Xavier University in Nova Scotia, Gerry found employment back in Toronto at his alma mater, De La Salle College (shades of Welcome Back, Kotter). He eventually became a physical education instructor and a hockey coach there. Mr. D is actually based on Gerry's experiences as a teacher before he decided to devote himself full time to stand-up comedy and acting in 2003 (He started performing stand-up in 1999 and was the winner of Toronto's Funniest New Comic contest that year). 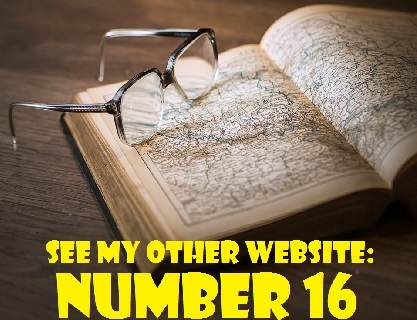 In an April 2013 article for MoneySense Magazine, Gerry elaborated further on that period in his life. Between teaching, hockey and comedy, 1999 to 2003 was a very busy time for me. However, I loved all three things I was doing, which made it more exciting. Then I had a decision to make: pursue comedy or pursue teaching and coaching hockey. I felt I had reached a stage in my stand-up comedy career where I could take a leave from my other jobs for one year. I had actually paid off all my debts, bought a condo and saved some money. Gerry Dee moved to Los Angeles and remained there for a year and a half before returning home to Toronto. In 2002, he won the first Canadian in 27 years to win the prestigious San Francisco Comedy Competition. He made his debut on U.S. network television in 2003 when he appeared on CBS' Star Search with Arsenio Hall. A year later, Dee performed on The Late Late Show with Craig Kilborn. In 2006, Gerry appeared in the CBC mini-series Canada Russia 72 in which he played the role of Canadian hockey player Wayne Cashman. The following year, he had the distinction of finishing third on the fifth season of NBC's Last Comic Standing, the highest standing by a Canadian in the history of the competition. To watch Gerry perform his stand-up comedy routine on the Late Late Show with Craig Ferguson in 2012, click on the link below. * Gerry Dee is the author of a book titled Teaching: It's Harder Than it Looks. It was published by Random House in 2012.and it is filled with anecdotes about Dee's years as a teacher, the kind of teacher who loses his students' exams or suddenly decides to hold a baseball game during history class just to pass some time. Actually, it tells the story of a teacher very similar to the fictional Mr. D. The book contains a forward by Gerry's fellow Canadian comic, Russell Peters. * Gerry and his wife Heather have two daughters, Faith Donoghue and Aly Donoghue. According to his CBC biography, Gerry divides his time between Los Angeles and Toronto. * On an episode of the CBC's George Stroumboulopoulos, Tonight, Gerry told talk show host Stroumboulopoulos that his favourite possession is his Wayne Gretzky rookie hockey card. He is much more of a jock than an intellectual. He confessed to Stroumboulopoulos that he had only read five books in his life. * Gerry is a good golfer and in 2004 he appeared in the CBS Sports reality series PGA Tour 18: Golf's Ultimate Round. * Gerry is the former host of a weekly comedy segment on The Score (now Sportsnet 360), a Canadian cable station recently recently purchased and revamped by Rogers Media. 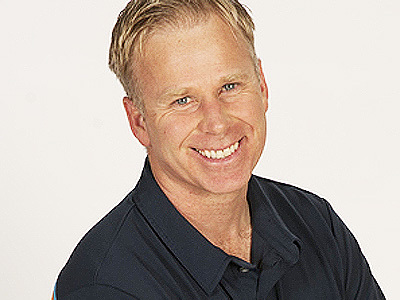 On his show, Gerry Dee Sports Reporter, he conducted humorous interviews with various sports celebrities including Michael Jordan, Wayne Gretzky, Charles Barkley and Cito Gaston and Chris Bosh. * The CBC has renewed Mr. D for a third season. EDITOR'S UPDATE (February 22, 2014): The third season of Mr. D. will begin on Monday, February 24, 2014 at 9::00 p,m. on CBC. Due to the Winter Olympics, it has been delayed and will be shortened to only eight episodes. The special guest on the season opener will be 1972 hockey hero Paul Henderson. Before Season 3 kicks off, viewers can enoy a hidden camera special, Gerry Dee: The Substitute, airing Monday, February 24 at 8 p.m. Gerry disguised himself and went undercover as a substitute at King’s-Edgehill School in Windsor, Nova Scotia for a week. EDITOR'S UPDATE (January 6, 2015): The fourth season of Mr. D will premiere on Tuesday, January 20, 2015 at 9:30 pm on CBC. EDITOR'S UPDATE (January 15, 2016): The fifth season of Mr. D will premiere on Tuesday, January 19, 2016 at 9:30 pm on CBC. EDITOR'S UPDATE (August 26, 2016): The sixth season of Mr. D will premiere on Tuesday, October 11, 2016 at 9:30 pm on CBC. EDITOR'S UPDATE (June 24, 2018): On March 11, 2018, Mr. D was renewed for an eighth season. Gerry Dee confirmed that this would the show's final season. He stated via Twitter: "Hey all, Mr. D will be back for an 8th and FINAL season. It's rare in TV to get a show let alone be able to decide when you want to wrap it up and I'm so thankful that CBC has allowed me to make this decision. It feels like the right time. So proud of what we did. Thx!"